This entry was posted on September 16, 2012 by joeleagle. It was filed under Insects and was tagged with green grasshopper, katydid, Northern bush katydid. Wonderful shot, Joel. You got the eyes perfectly and the rest of the face has an amazing expression. How close to the katydid were you went you took this sot? Thanks Mike! I was probably a little more than a foot away. A cross-eyed katydid! I love it! 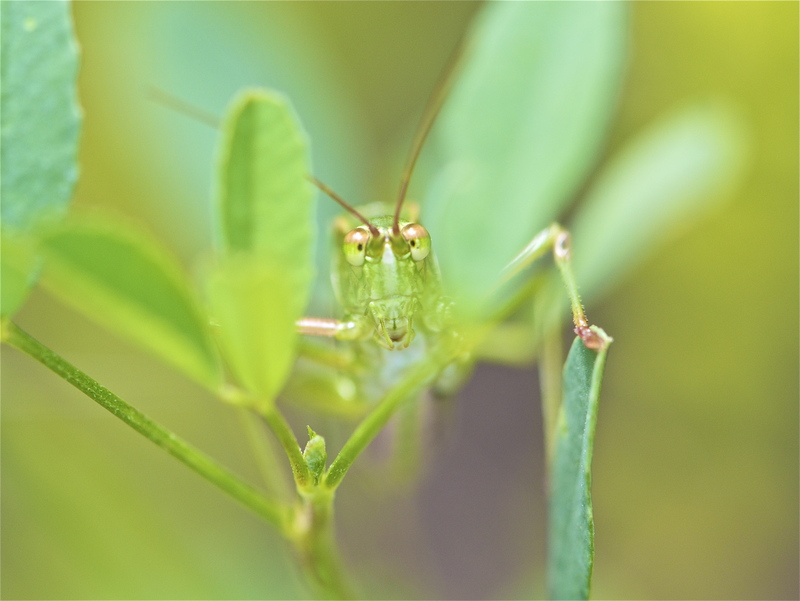 Is a katydid like a grasshopper, or more like a mantis? Good shot! Thanks Greg, they are much more like grasshoppers, but it has those mantis looking eyes.